One of the things I enjoy doing in my spare time is hitting the road (or backyard) and doing some astrophotography, and while shooting pictures or star constellations like orion and our southern cross may be fun I won’t be taking pictures of the EURion Constellation anytime soon. That’s because the EURion constellation actually isn’t a star constellation but rather a counterfeiting countermeasure used on bank notes and coins. There are various techniques used to stop counterfeit money been made, magnetic and uv reactive inks, Guilloché patterns, holograms etc.. however unlike these which were publicly announced the EURion constellation was kept secret from the general public. 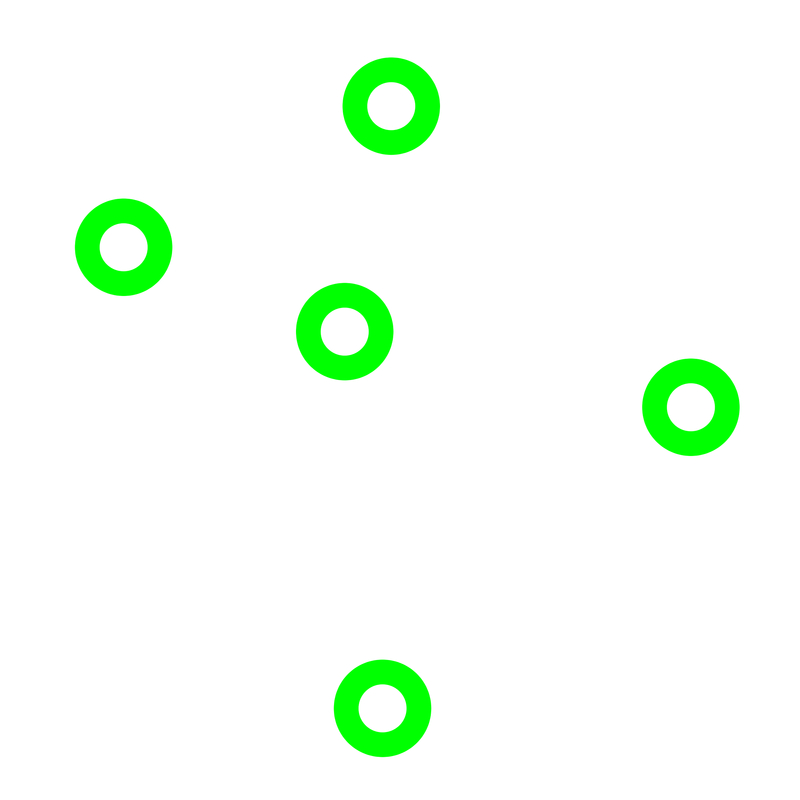 This pattern spotted by Markus was later coined as the EURion constellation. The constellation’s name is mixture of Euro’s ISO 4217 designation (EUR) and the Orion constellation (which happens to have a similar constellation pattern to that of the EURion constellation). Software/Hardware is used to scan for this particular geometric pattern and stop the replication of it, this is implemented into several several programs (Microsoft Word, Adobe Photoshop) as well as a multitude of printers and photocopiers. Due to this any banknote with the EURion constellation should be prevented from being copied. The constellation can be found on a large range of noted of various currencies for example the Euro, some United States notes, Japanese Yen and Canadian Dollar. 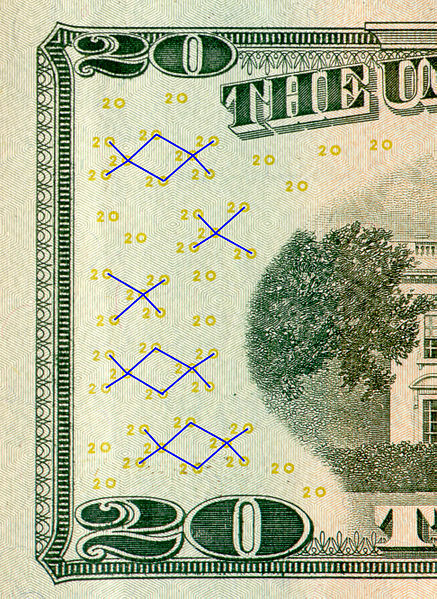 EURion Constellation on United States $20 Note. As for Australian banknotes, only one note (the Commemorative $5) utilises the EURion constellation. If you have any further comments or question feel free to leave a reply.